The Dikhu River being one of the most prominent rivers of Nagaland, it flows across the Mokokchung and the Longleng districts. Tourists come to this river to treat their eyes with the serene atmosphere and sandy edges. The river side is a perfect picnic spot, especially during the winters when the water levels come down. It is a perennial river that gushes through Nagaland in a westward direction to join the large river of Brahmaputra. Dikhu River originates from the Hills of Nuruto of Zunheboto District. 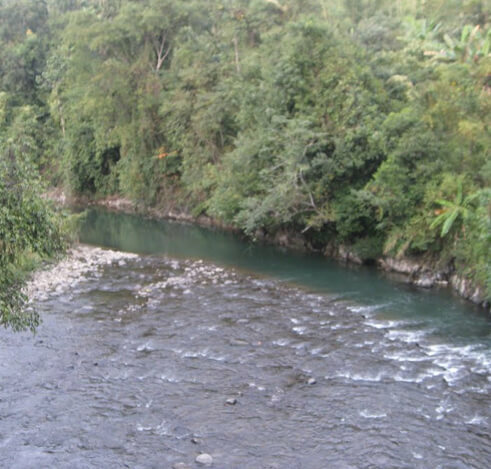 The river is as long as 160 km and goes through the northern part of Mokokchung District and Tuensang District. In Mokokchung, the river divides into one of its major tributaries, the Nanung, which flows through the Langpangkong hill range of the district. Belonging to the list of the mightiest rivers of India, Dikhu River is a major source of water for the people of Mokokchung and provides food in the form of fishes all year long. Itis one of the major tourist attractions and also a main source of livelihood as the river helps the village’s land to be fertile for cultivation. This beautiful tributary of River Brahmaputra does not falter by drying out even once in a year. Tourism has boomed in the recent decades when people discovered the scenic beauty of the sandy banks with serene surroundings of Dikhu River. Dikhu River is undoubtedly one of the places to visit while you are in your vacation of Nagaland. This prime tourist spot is an excellent place to enjoy a picnic with your friends and family. One can rejuvenate themselves by the majestic sights of this river. To reach Dikhu river banks, you need to hire taxis, or drive on your own for about an hour and a half from Mokokchung on the Kohima Road. The best time to visit Dikhu River is during the winters between the months of October and March. The water level drops down to a comfortable level and is not dangerous to be close to it.